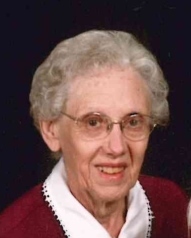 Virginia Monday, 88, lifelong resident of Lupton City, TN, passed away Sunday August 26, 2018. She retired from Northside Presbyterian Church after serving 45 years as the church secretary. Virginia was a Charter member of Lupton Drive Baptist Church. She was preceded in death by her parents, Ben and Edna Monday. Survivors include her sister, Evelyn Hixson (George); nieces, Vivian and Jody (Allen). Funeral Services will be Thursday at 2:00 pm in the Chapel of Lane Funeral Home with Reverend Randy Bell officiating. Interment will follow in Hamilton Memorial Gardens. Visitation will be 6:00pm-8:00pm Wednesday and 1:00-2:00pm Thursday at the funeral home.